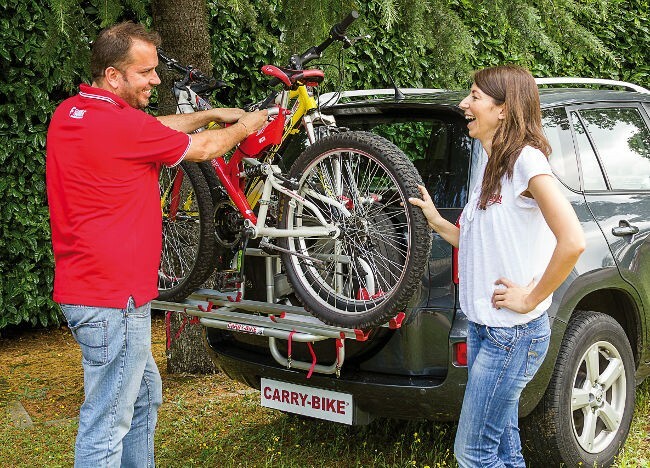 The Bike Rack frame is adjustable to fit to tyre sizes with cross-section from 215 to 265. Rapidly install over the rear wheel and secure with the sturdy strap around the wheel. It is necessary to remove the rigid cover of the spare tyre if you have one. Be careful not to cover the lights and number plate. Folding rail support base, can be folded away when the Carry-bike is not in use. 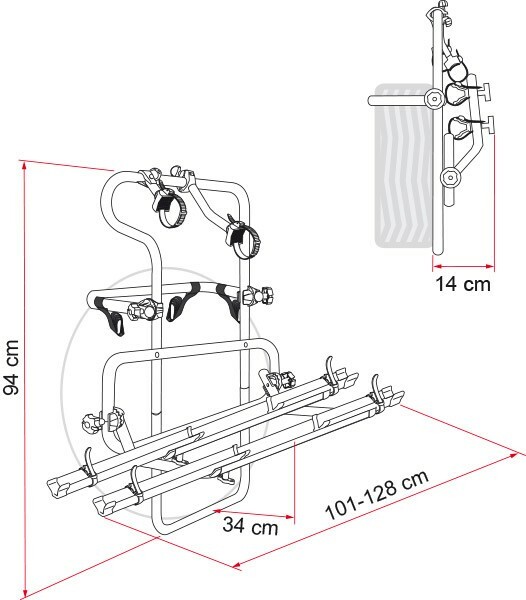 Supplied as standard with: 2x Rail Quick C (bike support), Bike-Block Pro 1 and 2 (Carry-Bike frame to bike holder) and 1x Security Strip (buckled strap). Holds a maximum of 2-bikes.